We are a leading OEM Manufacturer of steam boilers, reboilers, non ibr steam boilers, hot water boiler, industrial boilers and agro waste fired boilers from Delhi, India. 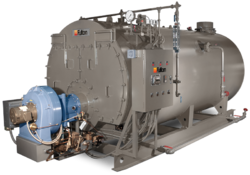 We are a leading firm engaged in the design, manufacture, & supply of Steam Boiler. This offered boiler is highly appreciated by our clients for its low maintenance and very high performance features. Our provided steam boiler is used in different industrial applications for heating water in a closed container to generate steam. 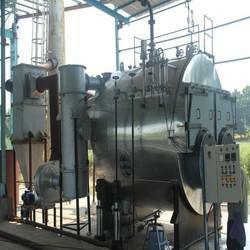 The provided steam boiler is accurately manufactured using the qualitative grade components and latest technology. Further, this steam boiler can be availed by our renowned clients at most competitive price.Our factory has been approved by The Director of Boilers (U.P) for the manufacture of boiler under the provision of the Indian Boiler Regulation, 1950. We are a leading firm engaged in the design, manufacture, & supply of reboilers for various industrial purposes. Our wide array of qualitative Reboiler is the heat exchanger that is used to provide heat to the bottom of industrial distillation columns. It efficiently boils the liquid from the bottom of a distillation column and generates vapors, which are returned to the column to drive the distillation separation. 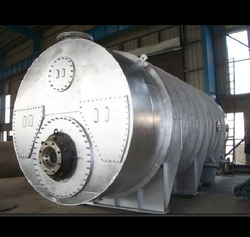 We specifically design the layout of re-boiler and fabricate it in a specific dimension as specified by clients. Our reboilers are available with 60.3 mm OD SS tubes and sleeves. Customization can be done as per clients requirements. Our factory has been approved by The Director of Boilers (U.P) for the manufacture of the boiler under the provision of the Indian Boiler Regulation, 1950. We are a leading firm engaged in the design, manufacture, & supply of Non IBR Steam Boilers - Solid / Liquid / Gas / Electric fired. Because of various salient features of exclusive range of our Non IBR Steam Boilers, such as durability, smooth functioning, efficiency, these are highly acclaimed by our clients. These are built using premium quality raw materials and as per latest technology. Here, a complete installation of Non IBR Steam Boilers along with their accessories such as boiler house piping, chimney, ducting, commissioning is provided. All these Non IBR steam boilers are available at most competitive market prices.Our factory has been approved by The Director of Boilers (U.P) for the manufacture of boiler under the provision of the Indian Boiler Regulation, 1950. We are a leading firm engaged in the design, manufacture, & supply of Hot Water Boiler. This offered boiler is highly appreciated by our clients for its low maintenance and very high performance features. Our provided steam boiler is used in different industrial applications for heating water in a closed container to generate steam. The provided Hot Water boiler is accurately manufactured using the qualitative grade components and latest technology. Further, this steam boiler can be availed by our renowned clients at most competitive price.Our factory has been approved by The Director of Boilers (U.P) for the manufacture of boiler under the provision of the Indian Boiler Regulation, 1950. We are a leading firm engaged in the design, manufacture, & supply of Industrial boilers - Solid / Liquid / Gas / Electric fired. Because of various salient features of exclusive range of our Boilers, such as durability, smooth functioning, efficiency, these are highly acclaimed by our clients. These are built using premium quality raw materials and as per latest technology. Here, a complete installation of Industrial Boilers along with their accessories such as boiler house piping, chimney, ducting, commissioning is provided. All these Industrial boilers are available at most competitive market prices. Our factory has been approved by The Director of Boilers (U.P) for the manufacture of boiler under the provision of the Indian Boiler Regulation, 1950. We are a leading firm engaged in the design, manufacture, & supply of Agro waste fired boilers . This offered boiler is highly appreciated by our clients for its low maintenance and very high performance features. Our provided Special purpose Agro waste fired boilers is used in different industrial applications for heating water in a closed container to generate steam. 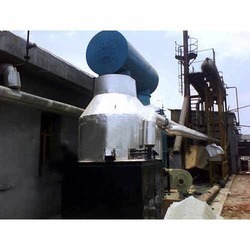 The provided Agro waste fired boilers is accurately manufactured using the qualitative grade components and latest technology. Further, this Agro waste fired boilers can be availed by our renowned clients at most competitive price.Our factory has been approved by The Director of Boilers (U.P) for the manufacture of boiler under the provision of the Indian Boiler Regulation, 1950. 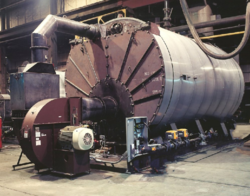 We are a leading firm engaged in the design, manufacture, & supply of Special purpose industrial boilers. This offered boiler is highly appreciated by our clients for its low maintenance and very high performance features. Our provided Special purpose industrial boilers is used in different industrial applications for heating water in a closed container to generate steam. The provided Hot Water boiler is accurately manufactured using the qualitative grade components and latest technology. Further, this steam boiler can be availed by our renowned clients at most competitive price.Our factory has been approved by The Director of Boilers (U.P) for the manufacture of boiler under the provision of the Indian Boiler Regulation, 1950. We are a leading firm engaged in the design, manufacture, & supply of IBR Steam Boilers - Solid / Liquid / Gas / Electric fired. Because of various salient features of exclusive range of our IBR Steam Boilers, such as durability, smooth functioning, efficiency, these are highly acclaimed by our clients. These are built using premium quality raw materials and as per latest technology. Here, a complete installation of IBR Steam Boilers along with their accessories such as boiler house piping, chimney, ducting, commissioning is provided. All these IBR steam boilers are available at most competitive market prices.Our factory has been approved by The Director of Boilers (U.P) for the manufacture of boiler under the provision of the Indian Boiler Regulation, 1950. We are a leading firm engaged in the design, manufacture, & supply of Solid fuel fired package boiler.This offered boiler is highly appreciated by our clients for its low maintenance and very high performance features. Our provided Special purpose Solid fuel fired package boiler is used in different industrial applications for heating water in a closed container to generate steam. The provided Solid fuel fired package boiler is accurately manufactured using the qualitative grade components and latest technology. Further, this Solid fuel fired package boiler can be availed by our renowned clients at most competitive price.Our factory has been approved by The Director of Boilers (U.P) for the manufacture of boiler under the provision of the Indian Boiler Regulation, 1950. We are a leading firm engaged in the design, manufacture, & supply of Dry back boilers .This offered boiler is highly appreciated by our clients for its low maintenance and very high performance features. Our provided Special purpose Dry back boilers is used in different industrial applications for heating water in a closed container to generate steam. The provided Dry back boilers is accurately manufactured using the qualitative grade components and latest technology. Further, this Dry back boilers can be availed by our renowned clients at most competitive price.Our factory has been approved by The Director of Boilers (U.P) for the manufacture of boiler under the provision of the Indian Boiler Regulation, 1950. 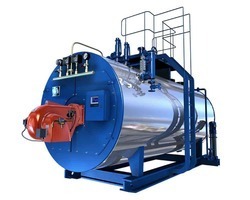 We are a leading firm engaged in the design, manufacture, & supply of Diesel Steam Boiler.This offered boiler is highly appreciated by our clients for its low maintenance and very high performance features. Our provided Diesel Steam Boiler is used in different industrial applications for heating water in a closed container to generate steam. 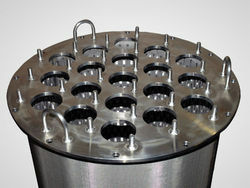 The provided Diesel Steam Boileris accurately manufactured using the qualitative grade components and latest technology. Further, this Diesel Steam Boiler can be availed by our renowned clients at most competitive price.Our factory has been approved by The Director of Boilers (U.P) for the manufacture of boiler under the provision of the Indian Boiler Regulation, 1950. 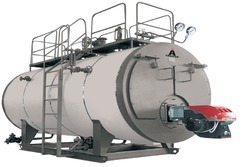 We are a leading firm engaged in the design, manufacture, & supply of Thermic fluid boilers. This offered boiler is highly appreciated by our clients for its low maintenance and very high-performance features. Our provided steam boiler is used in different industrial applications for heating water in a closed container to generate steam. The provided of Thermic fluid boilers is accurately manufactured using the qualitative grade components and latest technology. Further, this steam boiler can be availed by our renowned clients at most competitive price.Our factory has been approved by The Director of Boilers (U.P) for the manufacture of boiler under the provision of the Indian Boiler Regulation, 1950.